Let’s fight until victory, together! In its letter, BLOOM asked the Committee to support a full ban on electric pulse fishing, due to our concerns regarding ecosystem impacts and the clear opposition to this technique by French fishers. We have never received any official response to our letter. In a letter sent to Karmenu Vella, EU Commissioner for Environment, Maritime Affairs and Fisheries, Ségolène Royal (Chair of COP21 and former French Minister of Ecology) advocated for a ban on electric fishing. Dutch fishing lobbies organize a conference at the European Parliament on 21 June 2017 on electric fishing. BLOOM attended the meeting and delivered a short speech to rebut flawed arguments heard during the presentation. BLOOM’s campaign officially started on the 2nd of October 2017, when we filed a complaint to the European Commission against the Netherlands with regards to their unlawful exemptions. => See the media impact of our complaint against electric pulse fishing. French Minister of Agriculture Stéphane Travert formulates the French official position explicitly: France will be opposed to exemptions granted to electric fishing beyond 5% of each Member State’s beam trawl fleet in the North Sea, but it does not question the existence and development of electric fishing. This is way too weak in the face of the problems posed by electric fishing on ecosystems and on the livelihoods of small-scale fishermen of Northern Europe. French Green MEP Pascal Durand submits a priority question to the Commission about the unlawful number of exemptions that were granted to Dutch trawlers. The Commission is supposed to answer withing three weeks, but had still not provided any clarification on the matter after the Parliament’s vote (16 January 2018). The Commission will reply on 27 November (see below). BLOOM launched a petition against electric pulse fishing before the PECH Committee vote of the Parliament (held on 21 November 2017) which was going to decide whether or not MEPs agreed to consider electric pulse fishing a potentially “conventional” fishing method (which it is not!). Sole gillnetters from Northern France announce that they will block the port of Calais if Members of the PECH Committee of the European Parliament vote for the expansion of electric fishing in Europe. The LIFE (Low Impact Fishers of Europe) platform writes to MEPs, asking them not to weaken the current framework on electric pulse fishing. French center-right MP Paul Christophe asserts that the French government’s position is not strong enough on electric fishing. The answer of the French Minister of Agriculture Stéphane Travert is weak and ambiguous: “we will not defend electric fishing”. MEPs of the Fisheries (PECH) Committee gathered to discuss the Technical Measures Regulation and determine a political compromise on electric ‘pulse’ fishing, which will most likely be adopted during the PECH Committee vote (and it was). See details on the Compromise position below (see outcome of the vote of 21 Nov. 2017). At a Westminster Hall Debate, MP and former UK Minister for Fisheries and the Natural Environment (2010-2013) Rt. Hon. Richard Benyon said: “My final point is to ask, please, in the remaining months for which we are in the EU, that we hold it to account to make sure that pulse fishing is banned. […]” (at 15’22). An op-ed is published in Le Monde, in which politicians and scientists ask for a full ban on a destructive fishing method. According to the signatories, “accepting the development of pulse fishing would also implicitly mean we admit failure: there are not enough fish left for fishers to fill their nets without needing increasingly efficient fishing gears“. The op-ed was also published in Spanish in EfeVerde and La Vanguardia. France 2, one of the main French TV channels, airs a 5 mn coverage on electric fishing in prime time. During a “Common Language Group” (CLG) meeting facilitated by Seafish in London on November 16th 2017, BLOOM reminded Dutch fishing lobby VisNed that we still did not have any clarification on the complaint that we had filed against the Netherlands to the European Commission regarding their illegal licenses. We also asked VisNed’s representative, Mr. Pim Visser, to provide us with the full list of beneficiaries of the 2007-2014 European Fisheries Fund (EFF). The Netherlands is one of the only EU coastal countries (along with Bulgaria, Lithuania, Malta, Poland and Portugal) not to have published this list. This is unfortunate, as most vessels using pulse trawls would have been equipped under this Fund. 21 Nov. 2017: BLOOM’s petition gathers over 84 000 votes prior to the PECH Committee vote! 84 000 signatures were gathered before the vote on the Technical Measures Regulation by the European Parliament’s PECH Committee. BLOOM gathered several MEPs in a picture of supporters to the full ban. Thanks to our champions for supporting our campaign against electric pulse fishing, and thanks to all of you who signed the petition! 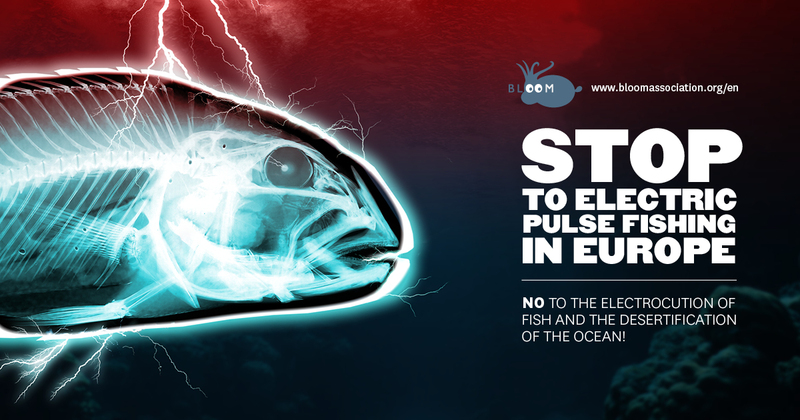 BLOOM delivers its petition to our champion MEPs against electric pulse fishing. From left to right: Marco Affronte (Greens, Italy), Nathalie Griesbeck (ALDE, France), Frédéric Le Manach (BLOOM), Karima Delli (Greens, France), Claire Nouvian (BLOOM), Yannick Jadot (Greens, France), Anja Hazekamp (GUE, Netherlands) & Pascal Durand (Greens, France). The European Parliament’s Fisheries Committee voted for a possible massive expansion of electric ‘pulse’ fishing in Europe. All the amendments tabled by MEPs under the direct influence of Dutch Fishing industry – which was loudly present in the room and reminded by MEPs to behave – were adopted. 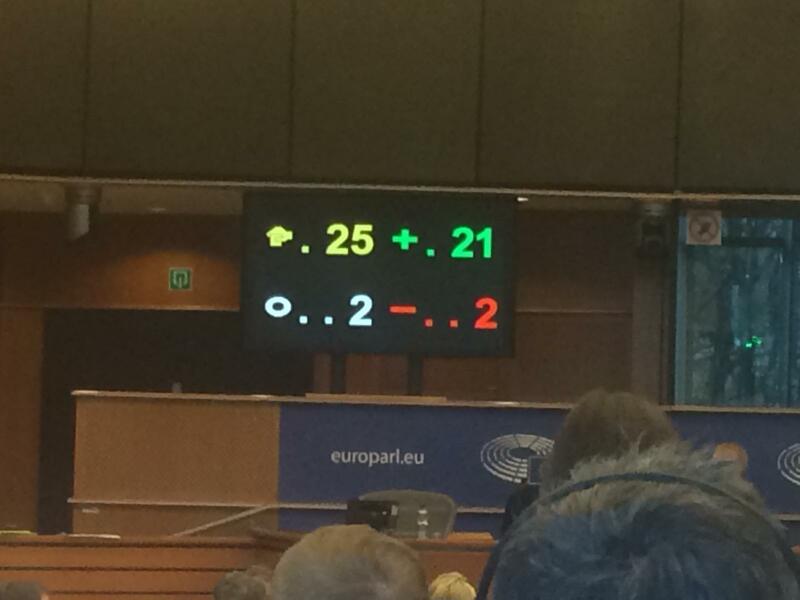 The main compromise amendment (Compromise 10 on Article 24) concerning electric ‘pulse’ fishing in the Regulation on Technical Measures was adopted by 23 MEPs against 3. It approves the possible limitless commercial expansion of electric pulse fishing in Europe should research fail to demonstrate after four years “direct or cumulative negative impacts on marine habitats”. BLOOM’s presence with media and fishers ensured, by a close vote (one vote difference!) that at least the Rapporteur (Spanish EPP MEP Gabriel Mato) did not obtain a “mandate” from the Committee members to go straight into final Trilogue negotiations without first having to go through a Plenary vote process. This gave our campaign a chance to turn around these bad results. Countdown was on because lobbies obtained that the Plenary vote would occur right after Christmas. Bearing in mind that the Parliament went into Christmas recess on Dec. 15 and reconvened on January 8, this only gave us about 3 weeks to reach out to 750 MEPs and alert them on the consequences of their vote! An NGO coalition including active members such as Seas-at-Risk, BirdLife, Humane Society International and ClientEarth strongly condemns the results of the PECH Committee vote as it jeopardizes fundamental protection measures for the ocean and juvenile fish, seabirds, sea mammals. Read the press statement of Seas-at-Risk. BLOOM and NGOs acknowledge that a LOT of work needs to be done to improve such a bad vote. NGOs focus on the whole Regulation and BLOOM only on the electric fishing ban that the Regulation allows to implement. The countdown is on as the Plenary vote will be rushed through, leaving hardly no time to reach out to MEPs. French MP Erwar Balanant (Presidential majority) asks for a full ban on electric fishing in an op-ed. Following a meeting in Boulogne-sur-Mer, representatives of the sole netters sector announce that they want a full ban, i.e. no exemptions. “The Commission is currently examining the complaint lodged by BLOOM and is in the process of verifying the relevant infomation, notably as regards the exact number of licenses granted by the Netherlands pursuing to Article 31a of Regulation (EC) No 850/98<a href=”#_ftn1″ name=”_ftnref1″></a>. Following the vote of 21 November, the final version of the text amended by the PECH Commission is published. Following up on the European Parliament’s Fisheries Committee vote which opens the way to electric ‘pulse’ fishing, mobilisation continues among professionals. On December 4, the Association des Poissonniers de France – a French organization that gathers 6 400 fishmongers, processors etc. of the fishing sector – published an official statement against electric pulse fishing and announced the boycott of seafood coming from the Netherlands until electric fishing is completely banned in Europe. The group declared that the PECH Committee vote was “unjustifiable and unreasonable”, and also alarmed on the environmental disaster that is taking place. On December 5, giant French retailer “Intermarché Agromousquetaires”announces a moratorium on electric fishing. Their press release highlights the negative impacts on marine ecosystems but also points to the economic and social threats for the artisanal fishing sector in the North Sea. This could be the last round in a decade-long war between industrials and small-scale fishers. This time, the latter might get crushed by the former. 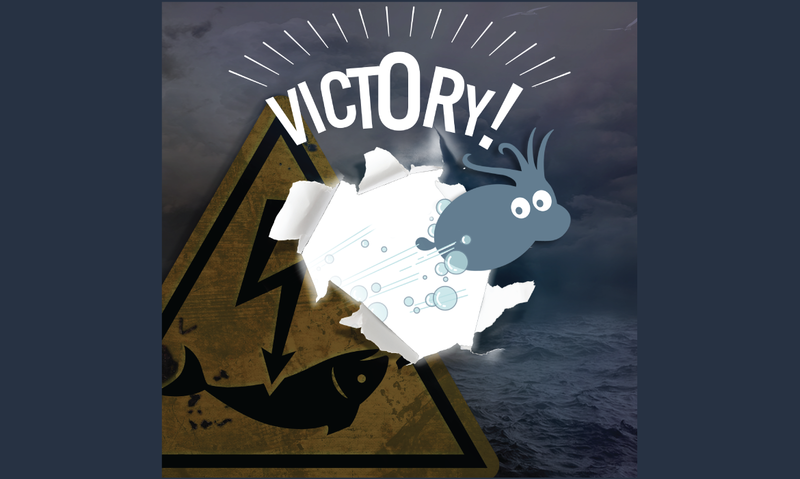 It will undoubtedly take time to achieve a ban on electric fishing, but with the support of citizens, BLOOM and colleagues from the Deep Sea Conservation Coalition and the Pew Charitable Trusts have managed to get deep-sea trawling banned in Europe, so let’s get to work to show what we are capable of together! Visfederatie, the Dutch Federation of Fish Wholesalers issues a letter against BLOOM about our electric fishing campaign. This letter tries to weaken BLOOM’s arguments to insist on the “environmental benefits” of electric trawling (by, as usual, comparing it only to the worst, i.e. beam trawling). In so doing, Dutch lobbies give BLOOM ample acknowledgment of our extreme efficacy! 14 Dec. 2017: The Dutch government lobbies on behalf… of lobbies! The Dutch embassy in Paris defends electric fishing in a press release which copies-pastes the arguments used by the Dutch fishing industry to make the case for the benefits of this technique. The Embassy in Paris targets French MPs that publicly raised their voice against electric fishing. This is the first time BLOOM has ever seen public funds and diplomatic services from a country being so directly used to lobby on behalf of an industry. This is particularly violet bearing in mind that even Dutch small-scale fishers speak up against the use of electric current. Here also, the government favors destructive, subsidy-dependent industrial practices to small-scale environmentally friendly methods. Outrageous. 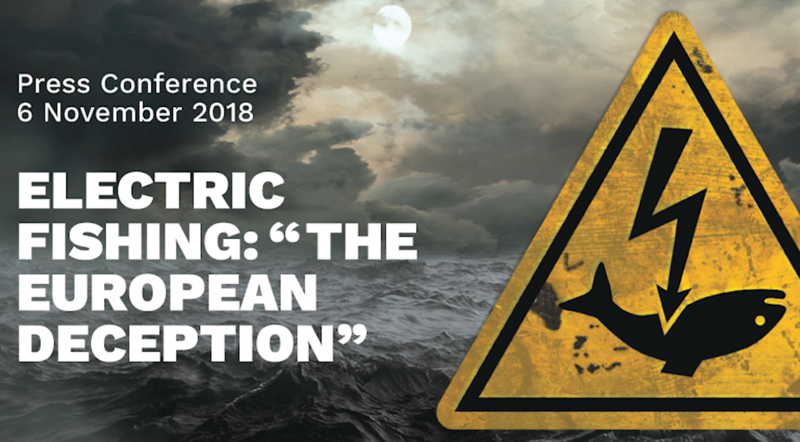 This press release recalls that electric fishing has strictly been forbidden in Europe since 1998, but also mentions the great doubts that still exist on the impact and damage of this fishing method. The French socialist delegation in the European Parliament calls on MEPs to vote against electric fishing in Europe and asks the Parliament to delay the vote because the draft Plenary schedule does not allow NGOs and small-scale fishermen to make their voices heard. On the following day, this statement is shared by Sylvie Guillaume, S&D MEP and Vice-President of the European Parliament. 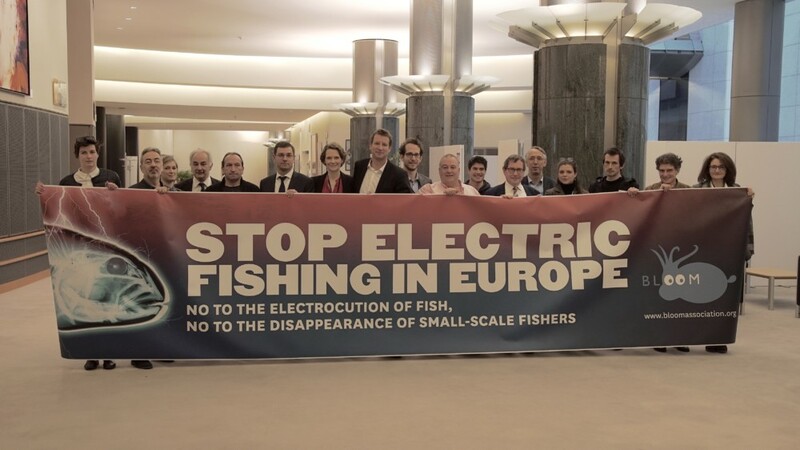 The EP announces that the vote will take place on January 16th, 2018 in Strasbourg, which is too soon after the Christmas recess for us to reach out to the European Parliamentarians and make them aware of the great dangers electric fishing represents. 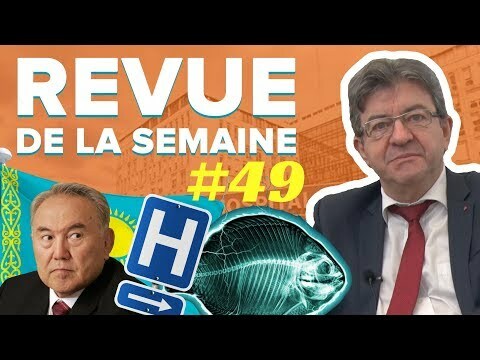 In his weekly review, MP and former presidential candidate Jean-Luc Mélenchon strongly opposes the idea of legalizing this fishing method (beginning 21’10, in French). Jean-Luc Mélenchon questions France’s position on a total ban of electric pulse fishing and the lack of relevant and independent scientific research on this subject. As the European Parliament prepares to vote on whether to restore the 1998 ban on electric fishing or to authorise its wide use throughout Europe, a group of NGOs and fisher organizations send a joint letter to the European Commission revealing a compromising document, which questions the morality of its 2006 proposal to lift the ban on electric fishing. [i] The letter reveals that expert scientific advice to the Commission was blatantly ignored and requests the European Commission immediately withdraw all provisions concerning electric fishing from its legislative proposal on the Technical Measures Regulation,[ii] which will be voted by the European Parliament on 16 January 2018. The Lonxanet Foundation takes a public position for the ban on electric fishing in a statement and supports BLOOM. The foundation works for the Spanish small-scale fishery and gathers associations of small-scale fishermen. BLOOM co-organizes an event co-sponsored by the Greens/EFA, GUE/NGL, ALDE, ECR and S&D, during which several announcements are made demonstrating a strong mobilization of the public opinion and professional actors against fishing Electric: the Chefs Manifesto against electric fishing, the commitment of large retailers, the opposition of citizens to electric fishing, the position of intellectuals and fishermen. During this event, MEPs were shown an “artivist” performance. 249 French MPs took up the cause against the reintroduction of electric fishing in Europe in an op-ed called “Electric fishing:” This practice is shameful to Europe and discredits us on the international scene “. Chef Christopher Coutanceau – Maison Coutanceau** in La Rochelle, inspired by his love of fine products and his membership to a vast network of Michelin-starred chefs, wrote the Manifesto of Chefs in support of BLOOM, presented Wednesday January 10th at a press conference in the European Parliament. “We refuse to work with seafood coming from a fishing method that condemns our future and that of the ocean,” said the text written by Christopher Coutanceau, whose restaurant on the Atlantic coast in La Rochelle, western France, has earned two Michelin stars. Relais & Châteaux supports the Chef Manifesto and is committed to the protection of marine biodiversity and respect for the sea. More than 220 top chefs across Europe pledge to stop sourcing seafood obtained by electric pulse fishing. Access to the list here. As part of our campaign against electric fishing, BLOOM releases an advocacy document that reviews the many environmental and social problems caused by electric fishing, but also the underlying political and financial scandal: in 2006, the European Commission went against scientific advice to allow this prohibited fishing method. Since then, millions of euros of public money have been injected into “research” and the equipment of fishing vessels with electric trawls. Meanwhile, small-scale fishermen are going bankrupt. Read our advocacy document here. As BLOOM’s campaign against electric fishing grows stronger, and as more and more voices rise up against this destructive fishing method ahead of the European Parliament’s vote on 16 January 2018, Dutch lobbies are desperately trying to counter our well-referenced arguments. To this end, electric fishing lobby VisNed distributed an “information” document to MEPs, full of biased, erroneous or simply false arguments. Indeed, trying to depict electric trawling as a virtuous and sustainable by comparing it to one of the worst fishing methods ­— the beam trawl — is outrageous. Read our rebuttal to the Dutch electric trawling lobbies here. The Parliament firmly rejects the use of electric current to catch fish: 402 votes adopt a full ban, 232 reject it and 40 abstain. This is a radical victory for BLOOM and its 18 partner NGOs and Fishermen organizations as well as for citizens and common sense. As lamented by other NGOs, the rest of the Technical Measures Regulation is nonetheless extremely damaging in many ways. Despite the massive victory on electric fishing, BLOOM’s press release acknowledges the damage done, as assessed by expert NGO Seas-at-Risk. Read their press release here about what is considered a “disastrous proposal”. “Carrefour France does not market species caught using an electric current. As of December, all of its suppliers have confirmed that they respect this exclusion (all fish sold in the fresh section and frozen fish under the Carrefour brand) according to the distributor’s website. Carrefour joins Mericq, the fishmongers of France and the Agromousquetaire group, which initiated the movement in December 2017. The lobbies again try to discredit BLOOM and create a fake Twitter account “bloomisfakenews”. Our campaign is based on referenced arguments and we are attentive as to the origins of our sources. A Dutch press article explains how the Netherlands has bypassed regulations in order to obtain more licenses than the law allows. BLOOM previously lodged a complaint about this on October 2nd, 2017. Small-scale fishermen have blocked the port of Calais to demand that the French government defends the ban on electric fishing. They also demand exceptional financial assistance. Since the expansion of electric fishing, their catches are so low that they are at risk of bankruptcy. With this blockage, they hope to be heard by the authorities. An article in the Dutch newspaper De Télégraaph reveals that Dutch MEPs Jan Huitema, Peter van Dalen, and Annie Schreier-Pierik have lodged a complaint with the EU Integrity Office against BLOOM. The reason? Lobbying on the basis of lies. The complaint was rejected. The gillnetters of Hauts-de-France are received in the cabinet of Olivier Cunin (Adviser of animal sectors, fishing, and social performance at the Ministry of Agriculture) following the blocking of the port of Calais. An exceptional budget is to be released (its amount is yet to be confirmed). The government says it supports the ban on electric fishing in Europe. A very biased article in the Dutch newspaper NRC gives the floor to Dutch scientists. Adriaan Rijnsdorp (researcher at Wageningen University & Research) is quoted saying that after the electric trawling nets pass, everything dies. The researchers wait two days to take measurements, which calls into question the validity of the experimental protocol. This is in agreement with the testimony of British, French and Belgian small-scale fishermen who proclaim to be fishing in a “cemetery” after the electric trawls pass. Annie Schreijer (Dutch MEP) says Rutte (the Dutch Prime Minister) must negotiate directly with Emmanuel Macron and Angela Merkel to reach a compromise. Carola Schouten, Minister of Agriculture and Fisheries in the Netherlands, meets Stéphane Travert. She would like to involve the French in the research of electric fishing. She will also appoint a special envoy to lobby European member states to defend the electric fishery. Blue Marine Foundation decides to campaign in the UK for the ban on electric fishing. Indeed though the Minister is opposed to the propagation of electric fishing, his words lack firmness and commitment. BLOOM expects the government to form a coalition to defend the total ban on electric fishing, without possible exemptions. In the European Affairs Committee, French MPs unanimously adopted the motion for a resolution by Joachim Son Forget (LREM), in favor of a total ban on electric fishing, including arbitrary exemptions issued by the European Commission. This text aims to encourage the Minister Stéphane Travert to make commitments in defending the ban on electric fishing. Former Dutch Fisheries Minister Cees Veerman is named “ambassador” for electric fishing. His mission is to lobby governments in order to fight the ban and convince Member States to embrace electric fishing. Industrial lobbies around Europe back this approach and lobby there own governments, despite the social bloodbath caused in the fishing sector and small-scale sector. The motion for a resolution to ban electric fishing in Europe (voted for on 8 February 2018 by the European Affairs Committee) is once again voted for unanimously in the Committee on Economic Affairs. The Commission has a closed hearing: it has to explain its 2006 decision to reintroduce electric fishing in Europe as well as the illegal number of exemptions that have been granted in the Netherlands. BLOOM forwarded its questions to MEPs, but the Commission lacked sincerity in its responses. Initially invited on set to debate about sustainable fishing (one of the themes being electric fishing), the organizers of the program Public Senate Live from the Salon de l’Agriculture, cancel Claire Nouvian. BLOOM is replaced by Ethic Ocean in the debate. On March 6th, the MPs’ resolution (LREM) Joachim Son-Forget and Jean-Pierre Pont’s call for a total ban on the use of electric currents to catch fish sparked a flood of agreement in the National Assembly. The unanimous vote of the MPs sends a strong message to the government. of action to create a qualified majority of member states in solidarity with its position in the Council. MPs have rightly pointed out on several occasions that the trilogue negotiations (between the Commission, the Parliament and the Council of the EU) promised to be “tough” because of the fierce lobbying by the Dutch government fighting against the ban on electric fishing. A Dutch vessel was arrested for illegal mesh size in Dunkirk. After inspection of the catch, French authorities seized 200 kg of undersized fish that was however destined for sale. The same day saw the trial of F/V Cornelis Jacob, arrested a year earlier for the same infraction. Translation of the Facebook post: In Dunkirk, the fish seized from illegal electric trawling is in the process of being counted. 1,700kg of fish destined for sale, of which 800kg are sole. And that isn’t the end of it. They found that more than 200kg of the sole are undersized (smaller than 24cm), all gutted (not for nothing…). An additional infraction! Sickening to see the contempt of the rules!! We bend to the European regulations but the law isn’t the same for everyone. When will we be heard? Minister Stéphane Travert, Mr. Vella of the European Commission, listen to us, before electric trawling destroys all of the resources and us along with it. Small-scale fishermen of Europe count on your support for the trilogue: TOTAL ban on electric pulse fishing. Monday March 19th, the negotiations that will decide the fate of electric fishing as well as all of the technical measures put in place by the Common Fisheries Policy begin. They take place behind closed doors in complete institutional opacity. A Dutch journalist, Thomas Spekschoor, has had access to the number of vessels equipped with electrodes that participated in research, year after year, in the Netherlands. He unveiled the research fraud in an article published in the journal NOS: despite the fact that 84 licenses were awarded to the Netherlands for research, there were, at most, 32 ships that were involved in research. “It was a trick to obtain permits and use them to fish commercially because, in reality, many of the ships fished for years without a scientist ever coming on board” wrote the journalist. The fishing lobby Visserbond responded to the article published in NOS the day before. The author tried to justify the absence of research onboard electric trawlers. He explained that fishers didn’t have a choice but to ask for the licenses if they wanted to save their business from bankruptcy. Therefore, the motive of research had been overshadowed. Following the article published in NOS showing that the majority of ships were not participating in research, the European Commission asked the Netherlands if the researched had, in fact, taken place. As a matter of fact, the licenses granted between 2010 and 2014 were specifically granted for scientific research. At the request of the European Commission, Dutch Minister in charge of fisheries Carola Schouten, explained that the licenses granted were done so while the vessels were not in involved in research. She declared: “Even when it became clear that scientific research was not being carried out, the Commission granted a 3rd series of exemptions.” She therefore blamed the European Commission for having granted these additional licenses. In a letter addresses to the Netherlands’ Parliament, Carola Schouten explains that the experiments on electric pulse fishing have been done. She equally explains that there isn’t any obligation to conduct research for the 22 licenses granted between 2007 and 2010. She therefore contradicts a 2006 press release that says the opposite. French brand Nature & Découvertes put tablets in their stores allowing clients to sign BLOOM’s petition in favor of a full ban on electric fishing. Barry Madlener’s motion is rejected with a large majority because the motion showed a lack of confidence toward the Minister Schouten. She replied that they have a policy that aims at discussing the advantages of the pulse with other member states and she did not think it was necessary to hand the negotiations over to Mr. Rutte. The Commission said it had transferred BLOOM’s complaint to the “EU Pilot”, a system supposed to allow “an informal exchange of information between the Commission and the Member State concerned“. But according to Claire Nouvian, this “pseudo-procedure” is actually meant to save time and to avoid formally launching an infringement procedure. “The Commission had 12 months after we filed our first complaint to decide whether it would launch a formal procedure against the Netherlands. When, after six months, the Commission replied that our complaint was transmitted to an “informal” mechanism whose stated purpose is to avoid, if possible, “formal infringement proceedings”, it’s almost a public admission of its bias in favour of those who trample on European law. The Commission is the Guardian of the Treaties, it is supposed to be “politically independent”. If the executive arm of the EU does not defend the general interest and democracy, especially at a sensitive time of Trilogue political negotiations, which must decide whether or not to ban electric fishing in Europe, then how much can citizens trust EU institutions?” Nouvian asked. The research funded by BLOOM allowed for an update of the advocacy document published in January 2018. This new version considers the revelations concerning the political and financial scandal that were brought to light during BLOOM’s campaign. This EU Member State does not respect the EU rules. BLOOM decided to challenge the European Commission again about the failure of the Dutch government to comply with European law: the Netherlands is the only major fishing nation in Europe to have not published data about the public subsidies that were allocated to Dutch fleets between 2007 and 2014. This period corresponds to the illegal, illegitimate, and abusive, development of electric pulse fishing with 84 licenses granted under the title of “research”. In a letter, BLOOM calls on the European Commission to act impartially and to “take all necessary measures” to ensure the Netherlands complies with EU rules, whether it is about the unlawful number of licenses or about breaching financial transparency requirements. The impact of electricity on eggs of sole. The socio-economic impact of electric fishing on other fleets. Also, we had confirmation that the computer set up on vessels to record parameters does record the voltage but not the frequency of the electric current. This is a key parameter that can render the gear more efficient and thus more dangerous. Uncontrolled frequency is why China has seriously damaged its ecosystems before banning electric fishing in 2000. BLOOM receives an email confirming that the Commission had received our second complaint against the Netherlands, which concerned the non-publication of data pertaining to the subsidies allocated to their fishing fleets between 2007 and 2014. MEP Yannick Jadot went out to sea with French gillnetters to witness firsthand the damage done by electric fishing on marine ecosystems and livelihoods in the North Sea. Yannick Jadot also challenged French President Emmanuel Macron, Minister of Ecology Nicolas Hulot and Minister of Food and Agriculture Stéphane Travert so that France respects its commitments and defends the ban on electric fishing at the European level. This response highlights yet again the full support of the European Commission to the electric lobby. Shamefully, results of the so-called ‘science’ are distorted: scientific studies have shown that electricity was harmful for cod eggs (delayed hatching, increased larvae mortality), that it caused fractures and hemorrhages in large cod, high discard rates (50-70%) etc. 23 MAY 2018: CITIZENS Call on PRESIDENT EMMANUEL MACRON to mobilize French diplomacy for a “win”! Since our collective victory at the European Parliament in January 2018, French diplomatic services have done nothing to secure an EU-wide ban on electric fishing. BLOOM launches a cartoon to explain European negotiations and to call on French citizens to email or tweet the French President. This report results from the scientific meeting that was held on 17-19 April 2018. These scientists assessed the research carried out by two institutes: ILVO (Belgium) and Wageningen University (Netherlands). In this report, the authors list issues that have still not been addressed, including the long-term effects of electricity and the social impact on foreign fleets (trawls and inshore fisheries, including small-sale and shrimp fisheries). Right after the European Parliament’s vote, the Netherlands asked ICES to “compare the ecological and environmental effects of using traditional beam trawls or pulse trawls when exploiting the TAC of North Sea sole“. This request was designed to insinuate doubts as it requested a comparison of electric fishing with one of the most destructive fishing gears there is. Although this biased question could only result in a positive outcome for electric trawls — given the poor quality of the research that was conducted — being ‘better’ than the worst fishing gears certainly does not make electric ‘good’, let alone ‘sustainable’. It also ignores social impacts. The scientific advice of ICES is particularly shocking because science so ostensibly serves political purposes. This is a blatant contradiction of this international scientific body’s mission. Nothing new in the ICES report but plenty cherry-picking of data to advocate that electric fishing is ‘sustainable’. European science obviously needs a check and balance process to avoid being so grossly instrumentalized to political ends. Citizens are entitled to expect more integrity and independence from European science and political institutions. > read our analysis of the ICES Advice. A coalition of NGOs and fishermen associations publishes a joint position, sent to all EU decision-makers. These 25 organizations expect scientists, Member States and the European Commission to live up to the expectations of European citizens to arbitrate matters with integrity, impartiality and with a constant strive to implement Europe’s commitments to restore its marine ecosystems, biodiversity, to safeguard our common future and the survival of traditional fishers as well as to defend the general interest against private interests. The French Research Institute for the Exploitation of the Sea (IFREMER) produced an expert report in 2016 following significant mortality of seabass larvae at Aquastream, a company located in Brittany. This French hatchery provided many customers in several countries, mainly in the Mediterranean basin. Unfortunately, it went bankrupt and closed in 2017 as a result of significant losses related to mortality of their seabass larvae. It seems that these important mortality rates were due to the presence of weak electric currents in the tanks. MEPs Peter van Dalen and Annie Schreijer indicate that they have launched a procedure to ban BLOOM from the European Parliament. They accuse BLOOM of spreading lies and fake news on electric fishing. These industry lobbyists are trying to discredit us, while Trilogue negotiations are due to take place shortly. In parallel, Peter van Dalen distorts scientific facts on Twitter to fit the satisfy the electric lobby’s agenda. Despite the non-compliance of the Dutch Government with the EU transparency requirements regarding the publication of financial data provided to the fishing sector, there is evidence that Dutch electric vessels and research institutes were granted substantial amounts of undue public subsidies. Fishers and NGOs jointly question the legality of these public expenditures and request the European Anti-Fraud Office (OLAF) to investigate the potential fraud. Remarkably, coastal and small-scale fishermen from the Netherlands joined the coalition of NGOs and fishers for the first time. C-Life and IJmuiden fishermen now openly support the fight against electric fishing which is driving them to bankruptcy. Our anti-fraud investigation request generated the interest of the media. In the Netherlands, NOS published an article echoing the fundamental transparency flaw of the Dutch government with regards to public subsidies, the amount of electric fishing licences and the scientific activities which were not carried out. The Dutch government reacted that it was “nonsense that profits have to be paid back to the subsidy provider”. Nervousness becomes palpable. Andries Visser of IJmuiden Vissers said: “If a pulse fishing ship is passing by, there is nothing more to catch for us, leaving the sea behind like a graveyard.” That type of fishing should never have been subsidized according to him. Following our complaint against the Netherlands and our collective request to the EU Anti-Fraud Office to investigate potential fraud in the Electric fishery, BLOOM urges Prime Minister Mark Rutte to arbitrate in four of transparency. Read our letter. Small-scale and traditional fishermen across the EU mobilize in ports in a simultaneous action of resistance to protest against electric fishing and to call on public decision-makers to definitively ban this destructive fishing technique in Europe. BLOOM puts together a dossier showing the moral corruption unveiled by the electric fishing and how dysfunctional EU institutions can be when under the influence of industry lobbies. Read our report “HAND IN HAND”. On a proposal by the vociferous Dutch MEP Peter Van Dalen, the Parliament decides to consult Regional Advisory Councils (RACs) on the Regulation. RACs have until 15 Sept. 2018 to give an opinion. The Dutch industry is trying by all means to convince France of the economic benefits of electric trawling by inviting two French manufacturers to their meeting. Nicloas Hulot puts down the ban on electric fishing in the biodiversity plan. BLOOM hopes concrete actions. BLOOM and its coalition asked the new Austrian Council Presidency to conclude the European negotiations and to ban electric fishing. If an agreement is not reached before the end of 2018, European elections may jeopardize the adoption of a resolution. Yannick Jadot and 6 other MEPS invited Karmenu Vella to go to Boulogne-sur-Mer to participate in a fishing outing, an opportunity for the European Commissioner to listen to other stakeholders than electric fishing lobbies. In one of its two reports, the FAO makes the mistake of stating that electric fishing would provide substantial energy savings. However, conventional beam trawls catch only 420 g of fish per liter of fuel consumed compared to 450 g for electric trawls. Electric trawls are more efficient for catching sole (a valuable fish) than the gear they are meant to replace (traditional beam trawls). They are reaching their quotas faster than the traditional beam trawls used to. The data are alarming. The catches of soles are in free fall in Boulogne. Small-scale fishermen may disappear if electric fishing is not quickly banned. 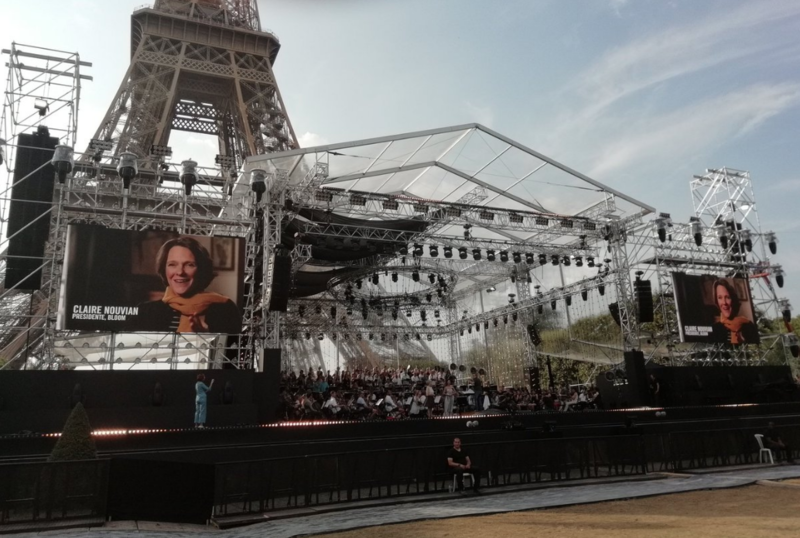 The Paris City Hall puts ecology in the spotlight during the great concert of July 14th (Bastille Day) and during the finals of the football world cup of July 15th. The derogations granted at the end of 2006 and allowing the use of electric current to catch fish were made against an explicit scientific advice, as well as the other successive decisions. The European Commission used irregular procedures to introduce derogations related to a fishing technique in a regulation on fishing quotas (the derogations should therefore not have been included there). The Netherlands have made a clear infringement by granting a number of licences far in excess of the regulatory framework. European subsidies that benefited these licenses exceeding the regulatory framework should not have been authorised. The fishing activity is clearly commercial and cannot be considered as a scientific fishery. A strangely defined article on “innovative fishing gears” (Article 24) in the Technical Measures Regulation currently under negotiation should be suppressed, as it opens a dangerous legal loophole: it enables new derogations to electric fishing to be legally granted. The Blue Marine Foundation filed a complaint to the European Commission’s Directorate-General for the Environment, highlighting that EU Member States and the European Commission had permitted fishing vessels to undertake electric fishing inside the Dogger Bank Special Area of Conservation in breach of several articles of the Habitats Directive. BLOOM tracked the fishing activities of 87 electric ‘pulse’ trawlers between 2015 and September 2018 (84 vessels flagged in the Netherlands and three in the UK, but Dutch-owned) and found that eight trawlers had been fishing in the Dogger Bank, a zone of great interest and biodiversity richness, which enjoys a protected status since 2012 under Europe’s Habitats Directive, and which was designated as a “Special Area of Conservation” in 2017. Negotiations on the Technical Measures Regulation, which will decide the fate of electric fishing in Europe, resumed after a long summer break. The three institutions (Commission, Council and Parliament) met in the Parliament in Strasbourg in a closed-door “Trilogue” meeting. Gabriel Mato showed his true colors by categorically refusing that the political group of the European United Left (“GUE”) be represented by French MEP Younous Omarjee. The latter, commissioned by his group, went to the Trilogue meeting but was expelled by Gabriel Mato in a violent denial of democracy denounced by Younous Omarjee in a video posted on Twitter. The Chair of the European Parliament’s Fisheries Committee, French MEP Alain Cadec (EPP group), stated on Twitter that the rapporteur (Gabriel Mato) had “a clear mandate from the Parliament for a full ban on electric fishing”. He added: “we will be very vigilant and if necessary the plenary session will confirm the first reading”. Yannick Jadot published the compromise proposal, a true Trojan horse of the Dutch electric fishing lobby which made it possible to legalize the current derogations. This proposal has fortunately not been adopted. BLOOM launched a new petition asking French President Emmanuel Macron to defend and fully engage French diplomacy for a total ban on electric fishing in Europe. Stéphane Pinto, Vice-President of the Regional Fisheries Committee and representative of the gillnetters of Hauts-de-France, has sent an invitation to French President Emmanuel Macron to come to Boulogne to measure the profession’s distress due to electric trawling. 12 OCTOBER 2018: THE NETHERLANDS CONTINUE THEIR LOBBYING … EVEN IN FRANCE! Peter van Dalen – a Dutch MEP who fiercely defends electric fishing – and Pim Visser – representative of the Dutch industrial fleet – were invited to a seminar on Friday (October 12th) at Boulogne-sur-Mer. They were welcomed by Frédéric Cuvillier, Mayor of Boulogne and former French Minister in charge of Fisheries, while small-scale fishermen were not invited. This troubling game of locally elected public officials added anger to the distress of small-scale fishermen. If the theme was officially about Brexit and trade, electric fishing was not excluded from the discussions: Peter van Dalen announced in a video that he had a meeting with one of the cabinet members of the French President to convince the French about the advantages of electric fishing. The Chef members of the Relais & Châteaux network take the floor against the electric fishing. They became mobilized alongside BLOOM at the invitation of Chef Christopher Coutanceau in January 2018. They are now joined by the members of the other chef network, “Euro-Toques”, which has 300 members in France. > Find the interactive map of the mobilized leaders. 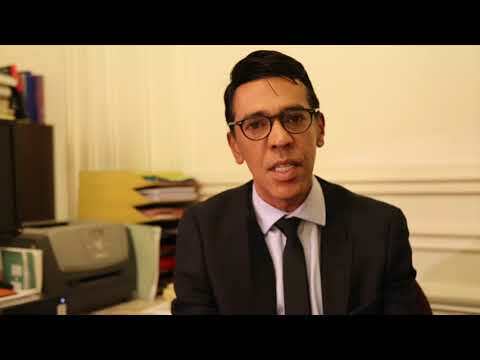 Newspaper ‘La Voix du Nord’ interviews Stéphane Pinto about his invitation to Emmanuel Macron and the scandalous compromise that aims at authorizing electric trawling. Fishermen invite citizens to support them during a demonstration. They demand the ban on electric fishing in Europe and request the support of elected officials. In Boulogne-sur-Mer (France), from 2.30 pm at Gambetta pier. In Niewpoort (Belgium), from 10.30 am at the fish auction dock. The French Communist Party of Dunkerque supports gillnetters who demand a total ban on electric fishing. He denounces the ecological and social catastrophe of this technique. BLOOM supports this call for Emmanuel Macron to strongly defend the ban on electric fishing. It has been over a year since BLOOM filed a complaint against the Netherlands, exposing the illegality of most electric fishing licenses granted to Dutch vessels to practice this destructive fishing method banned in Europe until 2006. The European Commission had one year to respond to our request registered on 2 October 2017. The Commission has failed to respond to our complaint and, in doing so, is seriously hampering European negotiations on the future of electric fishing. BLOOM turns to the European Ombudsman, Emily O’Reilly, who is in charge of arbitrating cases of maladministration by European institutions, transparency and ethics, so that she can assess the serious administrative failure of the European Commission in the ‘electric fishing’ case. At least 21.5 million euros of public subsidies have been allocated to support, legitimize and develop electric fishing in the Netherlands since 2007 through two European financial instruments: € 14.3 million from the European Fisheries Fund (between 2008 and 2016) and € 6.5 million from the European Maritime and Fisheries Fund (EMFF) since 2017. 2.7 million euros, have been used to develop a fishing method that is explicitly prohibited by European regulations: electric otter trawls. BLOOM has updated its advocacy document, available at www.bloomassociation.org/wp-content/uploads/2018/05/plaidoyer-peche-electrique-v3.pdf. The public, politicians and the media thus have new elements demonstrating the need to ban electric fishing in Europe. 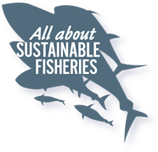 Our coalition is strengthened by the support of Slow Food, Shark Project and Italian artisanal fishermen from the Cooperativa pescatori di Su Pallosu. 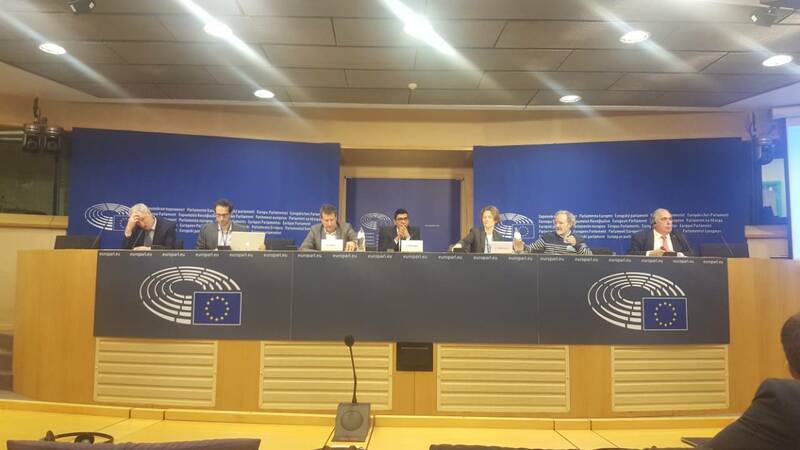 A technical meeting was held at the European Parliament to discuss a possible compromise on electric fishing. A proposal by Spanish MEP Gabriel Mato, rapporteur of the regulation on “technical measures”, is worrying and in stark contrast with the clear mandate given by the European Parliament on 16 January 2018. No compromise in Parliament has been found. However, the assistant of MEP Younous Omarjee, was forced to leave the room. Initially planned with Prime Minister Edouard Philippe, the meeting was held with a member from the cabinet of the Minister of Agriculture and Fisheries. It seems that the government has once again made promises, but gillnetters are not satisfied with speeches. They ask for real and urgent action from the government so that electric fishing is finally banned. In a Tweet, the gillnetters published the reply by French President Emmanuel Macro to their invitation sent on October 11, 2018. 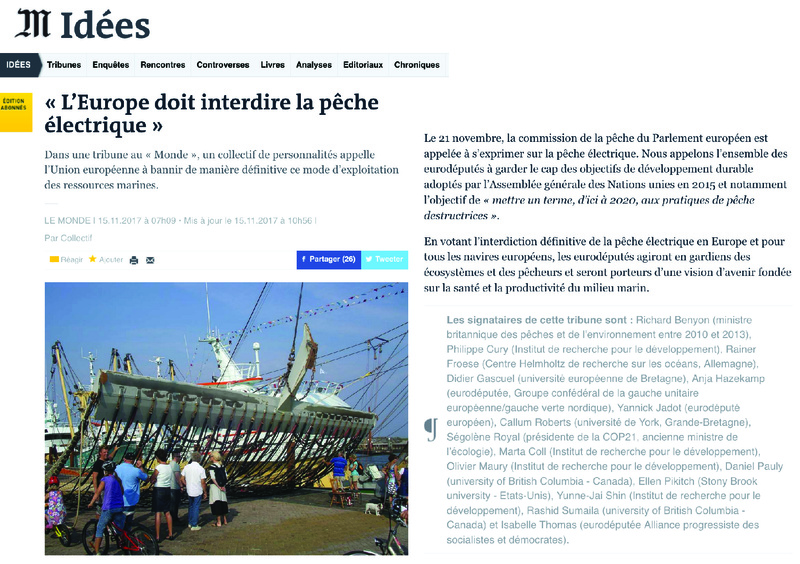 Stéphane Pinto, representative of the gillnetters of Hauts-de-France, wanted Emmanuel Macron to come to Boulogne-sur-Mer to fully understand the difficulties faced by small-scale fishermen because of electric fishing. The President refused to meet the gillnetters. Despite a speech in which he claims his opposition to electric fishing, the French President has not yet taken concrete action to prevent electric fishing in Europe. The President of the Hauts-de-France region asks Didier Guillaume, the French Minister of Agriculture and Fisheries to urgently take concrete action to ensure that the ban on electric fishing is adopted by Europe. In particular, he suggests that BLOOM’s complaints be taken over by France itself to put pressure on the Council and the European Commission. On Tuesday 20th of November 2018, MEPs from the Committee on the Environment, Public Health and Food Safety (ENVI) adopted two amendments to ban European subsidies for electric fishing. The European Ombudsman services informed us on 23 November 2018 that they were looking into the affair on the illegal electric fishing licences and had opened an investigation. The European Ombudsman contacted the Commission and asked it to inform us of the status of our complaint. The little arrangements between EU institutions and lobbyists of electric fishing reveal an alarming dysfunction. Spanish MEP Gabriel Mato is at it again. By proposing an unacceptable compromise — overly complexified by many provisions as useless as dangerous — the Rapporteur of the ‘Technical measures’ regulation violates the mandate that was clearly defined by the European Parliament during its plenary session of 16 January 2018. 32 NGOs and artisanal fishers’ organisations sent a joint letter to all European decision-makers (MEPs, Permanent Representations, European Commission) to sound the alarm on the lack of transparency and mismanagement of the ongoing negotiations on electric fishing. This prohibition will take effect after Brexit in British waters and apply only to foreign vessels. The three English trawlers equipped with electrodes will continue to practice electric fishing. Unfortunately, this statement is not officially binding because the amendment proposed by the British MP Luke Pollard was not added to the Fisheries Bill. 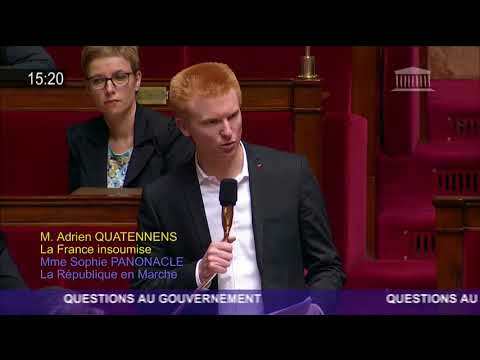 François Ruffin writes “on the inaction of France in obtaining a ban on electric fishing” and asks why the government is abandoning its commitments and those of the French National Assembly which voted a resolution in March 2018 to request the total ban of this destructive technique. Faced by the silence of the French President of the Republic and the lack of concrete actions on the part of the French government, French gillnetters ask Minister Didier Guillaume for an appointment to discuss the urgency of the situation and to ban electric fishing. François Ruffin releases an interview of Claire Nouvian, published by Fakir. She talks, among other things, about her fight against deep water trawling and electric fishing. The social and ecological urgency is such that small-scale fishers met with their British, Italian, Belgian and Spanish counterparts at the Boulogne-sur-Mer fish market for a press conference organised jointly with BLOOM. Fishers call the European institutions to adopt immediately a compromise proposal taking into account their problems, with a very limited “transition period” for Dutch fishers, before a full ban on electric fishing everywhere in Europe. BLOOM calls citizens to exert their daily power of control on decision makers, in particular the European Commission, and invents a new kind of tool: #iPolitics, which allows to ask the negociators working in the shadows of the institutions for accounts, day after day. On the day following our press conference, BLOOM and the fishers met MEPs of different nationalities, in particular the Rapporteur of the Regulation, the Spanish Gabriel Mato. He continued to support the idea of electric fishing for another 3 years. Such a delay is unacceptable for small-scale fishers. Despite the irrefutable evidence of the illegal use of public funds, the OLAF decides not to open an investigation. This decision was not communicated to the 23 plaintiffs (NGOs and small scale fishing organisations). The Dutch press disclosed this information on 18 January 2019. An investigation by BLOOM revealed that the person in charge of the investigations on the structural European funds at the OLAF, Ernesto Bianchi, was Head of Unit at the Directorate-General for Maritime Affairs and Fisheries (DG MARE) — ie the service at the European Commission in charge of the questions relating to fisheries — between 2011 and 2015. This is precisely at the moment when the European Commission was oganising the major expansion of electric fishing in Europe! Almost one year and a half after our first complaint filed against the Netherlands on 2 October 2017 for illegal licences for electric fishing, the head of fisheries at the Commission finally agrees with BLOOM and anounces its intention to open a “formal infringement procedure against the Netherlands” for not respecting the law of the European Commission. BLOOM had revealed that the Netherlands had illegaly granted 70 derogations (out of a total of 84) to Dutch trawlers to fish with electricity in the southern part of the the North Sea. The answer of the Commission comes after BLOOM called on the European Ombudsman on 6 November 2018 for misadministration of the European Commission. The defendant of European Union rights, Emily O’Reilly, had given the Commision the 31 January deadline to reply to BLOOM’s complaint. BLOOM sends a fierce letter to the European Anti-Fraud Office (OLAF) to challenge the shocking conclusion of their pre-investigation that was made following BLOOM’s complaint for suspiscion of fraud. BLOOM urges the 27 Commissioners to confirm without delay the request to open a judiciary procedure against the Netherlands. A specific letter is addressed to the Commissioner in charge of fisheries, Karmenu Vella, to ask him to conclude immediately the Trilogue negociations and support the total and final ban on electric fishing by 31 July 2019. The MEP, fervent defender of electric fishing, publishes a release in which he calls the procedure scandalous. He hopes that the European Commissioner Frans Timmermans will fight so that no infringement procedure will be launched against the Netherlands. As a response to the reply sent to BLOOM by the European Commission, the MEP Annie Schreijer-Pierik (European’s People’s Party group) accuses BLOOM of lying. According to her, the derogations are perfectly legal, despite all the evidence in our possession. Fisheries Minister Carola Schouten is present and supports the protest by Dutch fishers against a possible ban on electric fishing. The Dutch press publishes an article mentioning that the College of Commissioners had decided not to open any infringement procedure against the Netherlands regarding the illegally-granted derogations to practice electric fishing. BLOOM was not informed of this decision by the competent authorities, while industrial lobbies hastened to announce that BLOOM was manipulating the opinion and lying. This announcement eventually proved to be a hoax. The EC will not start a procedure against the Netherlands for illegal procedures. From this it can be concluded that the Dutch government not made mistakes when granting #puls. This proves again @Bloom_FR is manulipative and lying. Take that into account in the Trilogue tomorrow! The verdict falls around 10pm after 5 hours of negotiations between the European Parliament, the Council of the EU and the European Commission: electric fishing will be banned from July 1, 2021. It is an amazing victory for BLOOM and our coalition but which will come too late in view of the economic situation of the artisanal fishers in the North Sea. Until then, trawlers already equipped with electricity will be able to continue using the derogations provided to them from 2007 onward, that is to say within the limit of 5% of the Member States’ fishing trawler fleets (i.e. 14 max. for the Netherlands). No new exemptions may be granted. Moreover, the political agreement that was reached also makes it clear that scientific research must be strictly supervised with a limited number of boats (six, which is too many) and validated by the scientific body of the European Commission (the Scientific, Technical and Economic Committee for Fisheries). MEP Annie Schreijer does not fail to thank Commissioner Vella and rapporteur Gabriel Mato for helping delay the total ban on electric fishing! 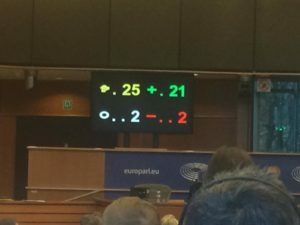 The Trilogue agreement on the Technical Measures Regulation — which includes the ban on electric fishing as of the end of June 2021 — was adopted by 21 votes against 2 by the Fisheries Committee of the European Parliament.